Electronic Arts has announced that it is ending support for The Sims 2. This means that there will no longer be updates or fixes to the game that came out some 10 years ago. As a parting gift, EA is giving all owners of the title a copy of The Sims 2 Ultimate Collection. Apparently EA is capable of doing something nice for their customers every once in a while. Owners of The Sims 2 should be seeing their copy of the Ultimate Collection appearing over the next few days, as EA has promised that it will appear in their Origin account within five days of the announcement. The catch is that this offer only applies to those who bought the digital download version of the game, leaving those who preferred to work from the physical copy out of luck. 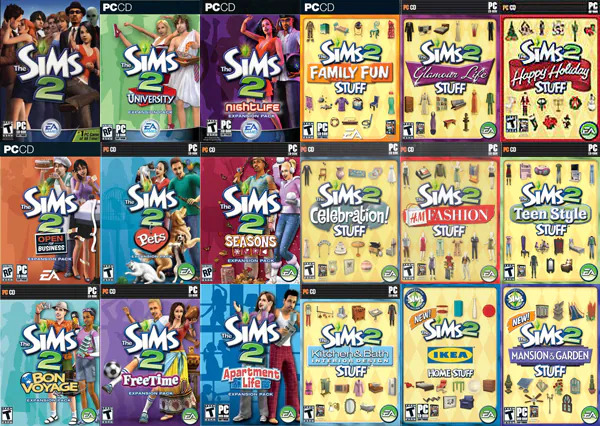 The Sims 2 Ultimate Collection contains every single expansion and stuff pack from The Sims 2, which would indicate that EA is making all of it unavailable for purchase when it pulls the game from store. This is a much better move than the other announcement about the upcoming Sims 4 title that leaves out swimming pools from the base game.